Fleet safety leaders have multiple priorities to manage every day, and driver coaching is just one of many components in a fleet safety program. Today, we’re adding a new Coaching Dashboard to the most comprehensive, end-to-end automated coaching solution that helps fleet management and safety leaders hold more productive and timely conversations when further coaching is required beyond Nauto’s automated in-cabin alerts. 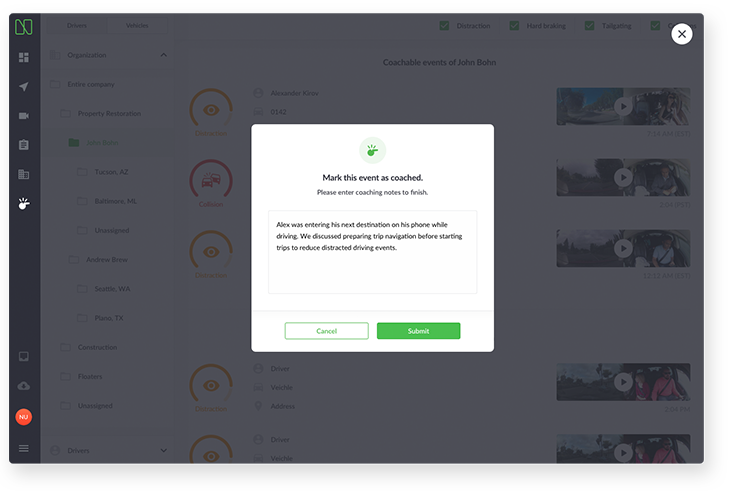 With over 250 million AI-processed video miles collected, we are leveraging our advanced data processing capabilities to equip fleet safety leaders with the new Coaching Dashboard, an AI-enabled event analysis tool that prioritizes high-risk driving events from Nauto’s intuitive Fleet Safety Application in real-time — eliminating the need to wait days or weeks for coaching reports from other tools. Leveraging advanced sensors and artificial intelligence (AI) embedded on the device (learn how Nauto deploys AI on the edge), our intelligent driver safety system identifies high-risk driving behavior in real-time and automatically uploads event media to our Fleet Safety Application. 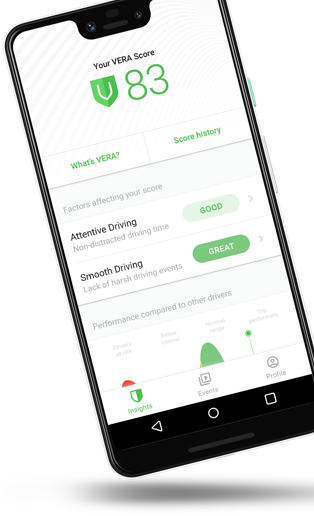 These videos, combined with additional critical event data, are then consolidated into Nauto’s proprietary VERA Score™ to enable fleets to easily identify high-risk drivers and access personalized driver insights and events. 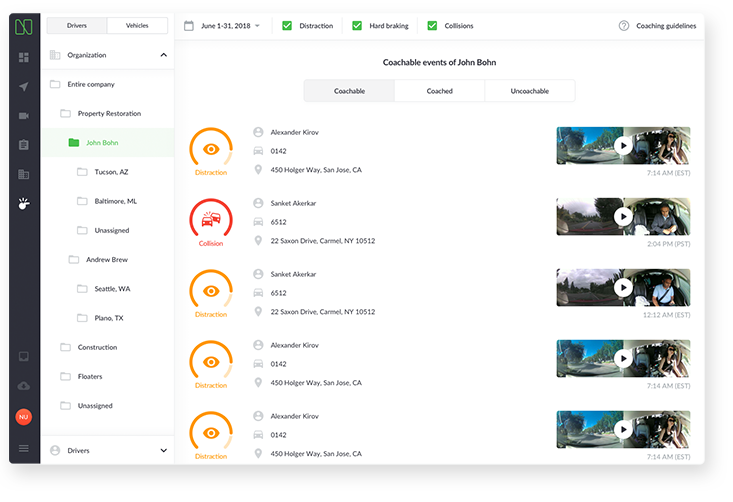 With Nauto’s new Coaching Dashboard, fleet safety leaders have access to a real-time prioritized inbox of coachable events by fleet, subfleet, or driver, to view context-rich video footage and critical data from identified coachable events. To hold highly effective coaching sessions with drivers, fleet managers can review the high-risk event video with drivers and hold a two-way conversation on opportunities to improve on-the-road decisions. The Coaching Dashboard includes a feature for fleet safety leaders to document and save coaching notes, providing organizations and their teams — including fleet management, safety, and HR — with a single system for safety records. Our new Coaching Dashboard is now available to all Nauto customers in the Fleet Safety Application at no additional cost. If you’re interested in learning how Nauto can help you improve the safety of your fleet, contact us today!